Do you have a taste for the darker side of life? Then you’re in the right place here amongst Blue Banana’s range of occult fashion that features pentagrams, crosses and mysterious symbols! 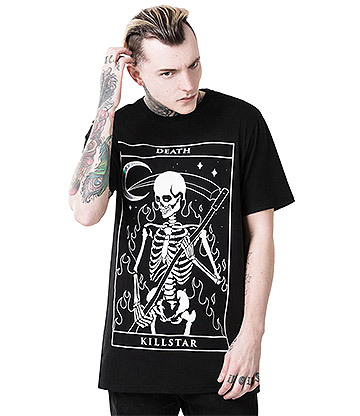 We have a fantastic variety of gothic occult fashion clothing and accessories such as t shirts, vests, dresses, leggings, hoodies, jewellery and even leggings from top name brands in alternative fashion such as Kill Star and Jawbreaker. Join The Dark World Of Occult Fashion! Occult fashion is one of the fastest growing trends in alternative fashion and is bringing back that dark edge to clothing! Inspired by everything dark and mysterious, occult clothing features pentagrams, hieroglyphics, crosses and mystical symbols. This particular style takes its cues from Satanism, paganism, goth and dark fantasy. Blue Banana is totally on board with this latest trend and stocks an eclectic range of high quality occult fashion that includes both clothing and accessories from well-respected brands in alternative fashion. We’ve got apparel from specialists in the style Kill Star and Jawbreaker, as well as Alchemy, Banned and Spin Doctor. 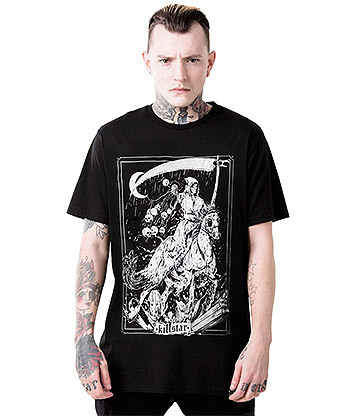 You can get your occult fashion fix in all forms within our collection of dark and mysterious clothing and accessories. This includes t shirts, vests, dresses, leggings, skirts, sweatshirts, hoodies, jackets, backpacks and plenty of jewellery such as necklaces, bracelets and more. All are adorned with pentagrams, crosses, occult symbols and even metal studs. Get Your Pentagrams On At Blue Banana! Our occult fashion collection features all you’ll ever need to become a part of this unique and mysterious style. Ideal for both casual wear and when hitting the town, you’ll most definitely make a dark impression when you get your hands on all the awesome designs we stock at Blue Banana! So are you fascinated with the occult and perhaps wouldn’t feel too bad if demons suddenly decide to break through into our dimension? 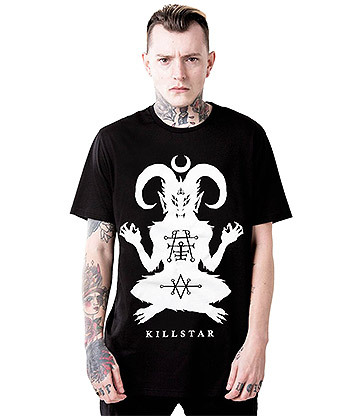 Then check out our full range of occult fashion featuring pentagrams, skulls, crosses and more on t shirts, dresses and tops!